Please excuse my ignorance because I have never heard of this group before we saw their tent on our way home with my better half, Rali. She later did some research online and bought two tickets for the premier show. I almost had a heart attack after she told me how much it cost to place us close to the front stage. My savings for an ipad is gone. I have been chipping in every week in hope to save enough money to buy an iPad before Christmas and now it is all gone. Just like that. Gone. Ok, maybe I am dramatizing a little bit here . Rali has not been to a circus since she was a little kid and I have only been to a few in the US. We came through the main gate to a covered area with a few shops for souvenirs and snacks and was told to go to door number 4 of the main tent to find our seats. The main tent is a half circle with a relatively small stage in the middle. I was not really impressed by the setting until the music came on. Darn it, the surround sound system was good. The lights were good, too. There are a few interesting parts of the show like beautiful gymnastics and some extreme in-air actions but the big part of the show is a bit slow in my opinion. Rali loves it, but I think I have seen better. If you happen to be around the Seattle area, you should definitely give it a shot. It is almost worth the money. You can also check their website to see where they are heading next. From a group of 20 street performers at its beginnings in 1984, Cirque du Soleil is now a major Quebec-based organization providing high-quality artistic entertainment. The company has more than 4,000 employees from over 40 different countries, including 1,000 artists. Cirque du Soleil has brought wonder and delight to almost 90 million spectators in over 200 cities on five continents. 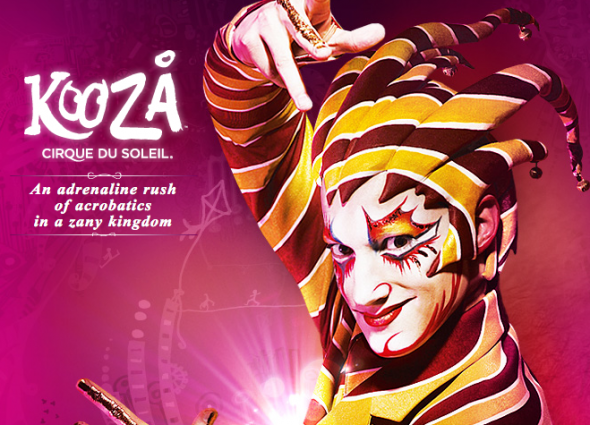 In 2009, Cirque du Soleil will present 20 shows simultaneously throughout the world. The company has received such prestigious awards as the Emmy, Drama Desk, Bambi, ACE, GÃ©meaux, FÃ©lix, and Rose dâ€™Or de Montreux. Cirque du Soleil International Headquarters are in Montreal, Canada. Cirque du Soleilâ€™s mission is to invoke the imagination, provoke the senses and evoke the emotions of people around the world.